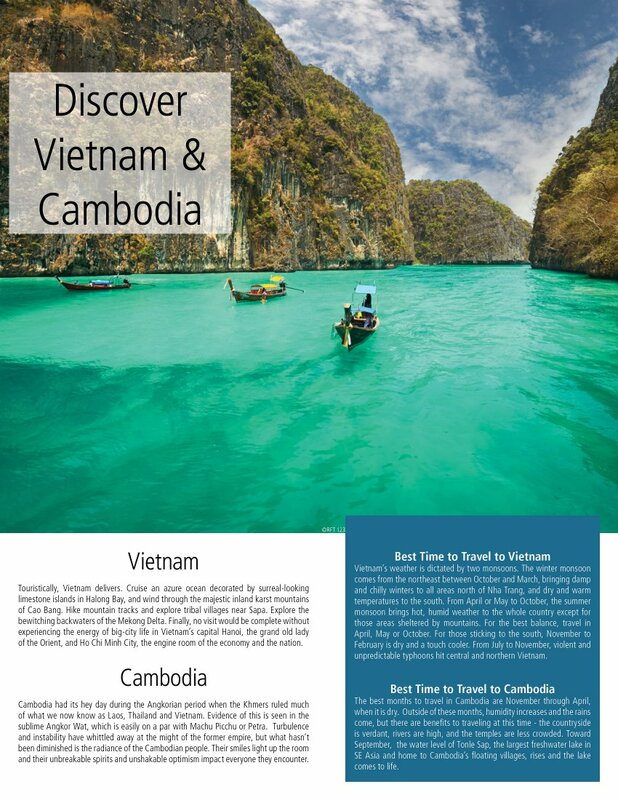 If you have ever wanted to go to Vietnam and Cambodia, here is a great special from Asia Answers. 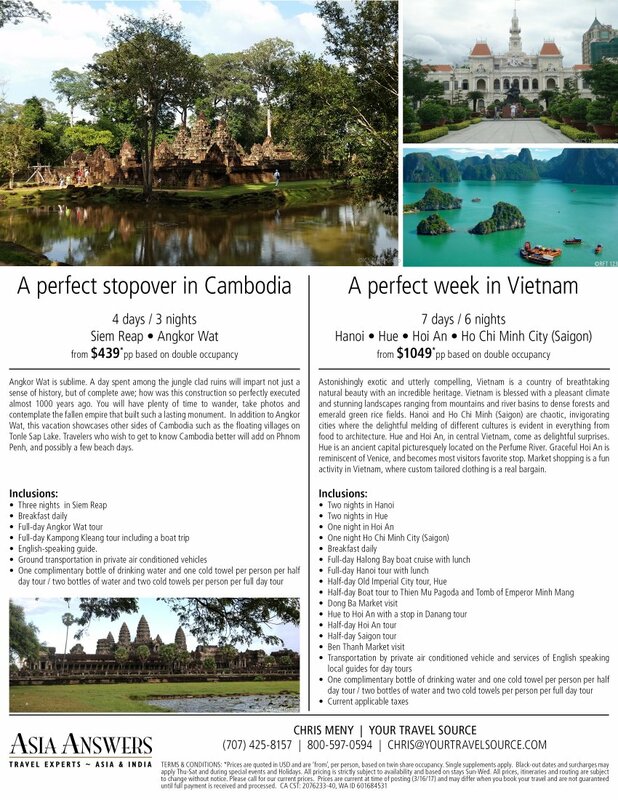 This is independent travel and each trip can be added onto and tailored to what you want to see. Call (800) 597-0594 to get more information.